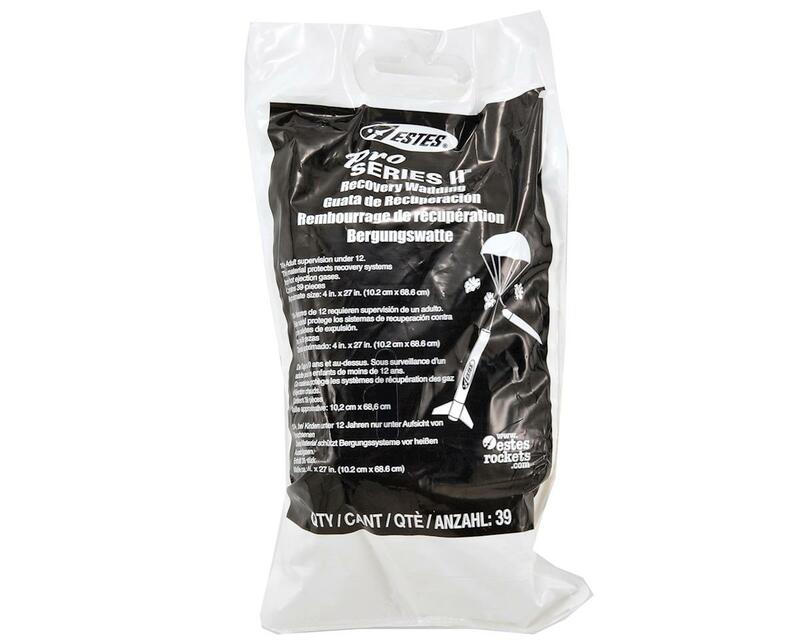 This is a package of Estes Pro Series II Recovery Wadding. This larger package of recovery wadding is used with the Pro Series II rockets, and includes thirty nine 4x27" pieces of wadding. The recovery wadding helps to protect the recovery system from hot ejection gasses.